Death in Oaxaca | Democracy Now! 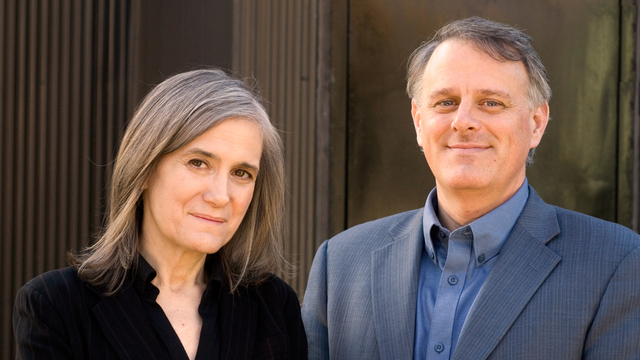 Award-winning journalist Amy Goodman, host of the daily, grassroots, global, radio/TV news hour Democracy Now!, is on a national speaking tour to mark DN!’s 10th anniversary and launch her second book with journalist David Goodman, Static: Government Liars, Media Cheerleaders, and the People Who Fight Back. Bradley Will captured a murder on video: his own. Will was in the southern Mexican city of Oaxaca (pronounced: wuh-HAH-kuh), documenting the ongoing protests against the state government there. He was an unembedded journalist, reporting from the front lines of a mass nonviolent movement, and he was shot in broad daylight before a crowd, by plainclothes paramilitaries. Will’s murder is just one of too many in the growing list of journalists killed while doing their job. His death on Oct. 27, 2006, and the deaths of three others that day, is proving to be a flash point in Oaxaca. In May of 2006, the teachers of Oaxaca went on strike, demanding higher wages. The almost annual strike has traditionally obtained a pay hike without conflict. This year, however, the Oaxacan governor, Ulises Ruiz, called out local, state and federal police and attempted to crush the strike. The attack prompted a cross section of Oaxacan society to join in the protests, first by occupying the historic central square in Oaxaca City, the Zocalo, then by occupying government buildings and taking over radio and television stations. They were tired of being misrepresented by the media. They formed an umbrella group, the Popular Assembly of the Peoples of Oaxaca (APPO). For the past four months, the APPO has led a broad movement fighting not only to remove the governor, but also to construct a new form of direct democracy. In response to nightly attacks by police and paramilitaries, hundreds of barricades have been set up throughout the city. Will was documenting the efforts to protect a key barricade in the town of Santa Lucia del Camino when he was killed. Brad’s final video was recovered and posted on the Internet. 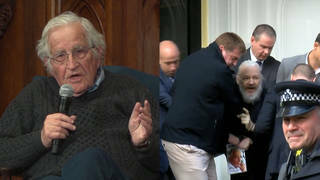 In it, you can walk with him through his final hours, interviewing the poor but determined protesters, scrambling for cover amidst intermittent gunfire directed at them. We see the shooters, and Brad’s careful balance of protecting himself but documenting the violence against the unarmed protesters. We hear the fatal shot, and his cry of pain as he falls to the ground with two bullets in his abdomen, the camera still recording. U.S. Ambassador to Mexico Tony Garza criticized the murder, but said Will died in a “shootout.” As Brad’s video shows, and to which witnesses attest, the protesters were unarmed. There was no shootout. The Associated Press reported that Santa Lucia del Camino Mayor Manuel Martinez Feria said the suspected shooters have been identified from a photo, all connected to local government or police. This past weekend, claiming to restore order, Mexican President Vicente Fox sent in thousands of federal police, using the death of the American journalist as a pretext. They retook the city square. On Democracy Now! on Monday morning, I interviewed Gustavo Esteva, a columnist for the Mexican newspaper La Jornada: “It is not the people themselves who have created disorder in the city. That is the alibi of President Fox, using the police to support this governor in a very peculiar structure of cynicism and complicity. It is a combination that is forcing the people of Oaxaca to pay a very heavy price for a democratic, peaceful struggle. While Congress and President Bush build a wall along the U.S.-Mexico border in a vain denial of our inextricably linked realities, Oaxaca’s coalescence of popular grass-roots groups is reaching a critical moment. The federal government has moved in. Will they slaughter the protesters as they did the students in Mexico City in 1968? Will the suppression of the civic demands result in an armed insurrection akin to the Zapatistas of 1994? These momentous events will go less well understood by people in the U.S., denied the insights and reporting of yet another journalist, murdered for the crime of reporting the truth.